While it may seem counterintuitive to buy a new kitchen around the holidays, the RTA Cabinet Store sees a spike of 10-20 times the number of orders, calls, and customers who need support during those peak season months. Following the holiday trends of other retail and e-commerce companies, we do the same average sales volume every day between Black Friday and the new year that we typically do in a week (sometimes even a month) any other time of year. Balancing an influx of customer inquiries takes planning and a lot of processes, ranging from high level to basic automation. Over the past 10 years, we’ve developed processes that help us deliver amazing customer service — and handle future waves of customer inquiries — during peak sale seasons. While you’ll never eliminate mistakes entirely, we’ve refined each sale process within our operating procedures to squash more and more mistakes before they happen. For example, we noticed we saw more customer complaints when we were short-staffed and couldn’t get back to people within a few hours of them leaving us a message or emailing us. And that’s fair. There’s a reason industry giants have 24/7 customer service. But if you’re scrappy and lean, it’s hard to beef up staff just for a sale. Our product line requires a substantial amount of product knowledge that staff can’t learn overnight — nor do we feel right hiring someone only to lay them off once the sale is over. That’s not our culture. Instead, we implemented a four-tier communication structure: email responsiveness, live chat, all-hands-on-deck phones, and appointment scheduling. Designed to help us address as many questions as possible within the least amount of time, this four-tier communication process serves as our Batphone. It allows customers and potential customers to get a hold of us, regardless of whether we’re in the office or offsite. But we didn’t always have this communication process in place. It came about when we began noticing trends around our customers’ communication habits. One pattern we identified early on was that people who emailed us and didn’t get a response with two hours would call our office. The reverse was also true. This created double the work for us, because one customer support representative might handle the voicemail message, while another might respond to the email. Another trend we identified is that on days we had someone dedicated to live chat, it reduced our call volume by as much as 30 percent, and emails by almost 35 percent. Once you gain insights regarding your buyers’ behaviors (your help desk’s reporting features can help you with that), you can put a system in place that will save you during high-volume periods. Here’s how we did it. No matter how many experts claim email is dead, it’s not going anywhere any time soon — especially for those of us in the e-commerce industry. Email is still the main form of communication from our customers. Since we’re not open seven days a week and many holidays/observances fall around weekends, we ensure that during peak times, someone is monitoring email 24 hours a day. This reduces the number of voicemails we return to the next business day, and it boosts our customer service rating because we’re responsive and reactive. The discovery that we could cut call and email volume by 30-35 percent made live chat a must. We tested several products and ultimately chose Olark for its analytics, integration capabilities, and ease of use. It also integrated with our custom-made CRM, so we could record chats in customer profiles for future reference. Once we had our system in place, we put someone online 24/7 during sale periods. This significantly reduced our workload the following day as well. The right VoIP will allow you to visualize your call volume and set metrics and reporting. Once we identified our peak call volume times, our purchasing and claims departments stepped in to help with the overflow of calls. When things get busy, it’s all hands on deck. One of the big advantages of using a VoIP service is the ability to easily reroute calls to cell phones and outside lines to ensure your team is reachable whether they’re working from home or on the road. 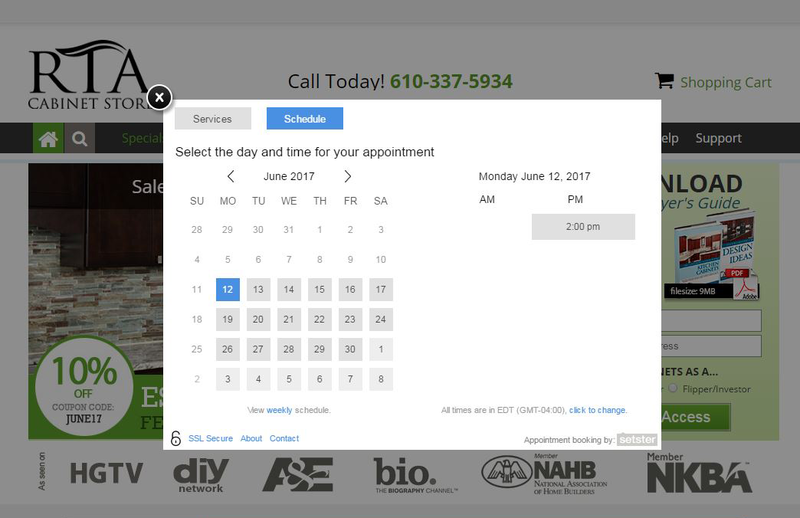 Appointment scheduling was a game changer. People had a predictable time when they would be called back, and it eliminated the need for them to call or email us multiple times to get in touch. It improved the overall customer service experience and left us with happier customers. We haven’t stopped with the four-tier communication process — we’re always improving our processes and we’re quick to adjust when needed. We add all customer inquiries to our FAQ page. A robust knowledge base reduces the number of emails and calls we need to field. Provide answers to popular questions right on the product page, so people don’t have to go searching for them. This also adds relevance to your sub-pages, which helps them rank higher on Google! While automation helps business owners and their teams be more productive and increase sales, keep in mind that there’s no substitute for human interaction, and a little can go a long way. One powerful bonus that came from our communication structure was an increase in the average order value through one-on-one interactions with our design team. By allowing people to schedule appointments to speak with team members who were able to recommend products, we increased orders by several hundred dollars on average. Add that up over the course of the year, and that’s a huge jump to the bottom line. Another way we optimized our buyer experience was by creating different buying paths users could take. For contractors and builders who visit our site, we offer a quick checkout. For people who are confident they can lay out a kitchen themselves, we offer a custom build kitchen design tool that walks them through the process and automatically adds products they select to their cart. For those who get in over their heads or don’t want to do it themselves, we offer our kitchen design team. No matter what the person’s experience or skill set, they always get the amount of support they need to complete the checkout. While it’s a bit more work on our end, it increases our conversation rates to 1.5 percent for cold traffic to the site, 28 percent if we can get these prospects into our email autoresponders, and up to 45 percent for those who use the design tool. For people who work with our design team, conversation rates go up to 80 percent. Kitchen cabinets are difficult to sell online due to the product’s awkward size, the typically high dollar value of the order, and the length of the buying cycle. Over the years, we’ve had to refine our process to make sure we’re making the experience as positive as possible, and we aim to over-deliver every time. Creating custom explainer videos to walk prospects through the process of ordering our product online. Following up with personal notes or after-order emails — don’t let the product shipment be your last touch point. Measuring customer satisfaction. To offer the best customer service possible, have KPIs in place and constantly measure your customer service. Upselling for free. We offer free design services, something many box stores traditionally do for an extra charge. Delight customers in every way you can. 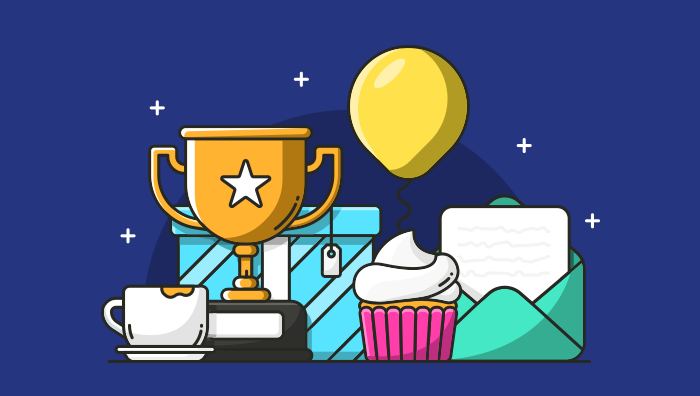 Each sale, each holiday season, each unexpected sales boost — they all create their own unique challenges, but as long as you are constantly improving your processes, your customer service experience will get better and better, too. What parts of your user experience can use an overhaul? I challenge you to walk through and record the experience from a buyer’s perspective and see what can be improved. With your very own “Customer Batphone” process in place, you’ll be saving the day in no time.